Psst... remember that heist you were planning? You know, the one where you and 10 associates go to elaborate lengths to stylishly infiltrate the money vault at Blue Lake Casino while simultaneously exchanging wit-filled, Hollywood-caliber dialogue? Remember? You had the entire scheme synchronized down to the millisecond. It was good enough to be a movie! But there was one hold up, one role too difficult to cast: You were missing your "grease man" -- someone small and limber enough to undetectably squeeze into the money cart you would then sneak into the vault, giving you that all-important "inside man." As you know, Humboldt is short on contortionists. Thus, your plan remained shelved. Your pockets, empty. Good news! This week, your junk may be arriving. 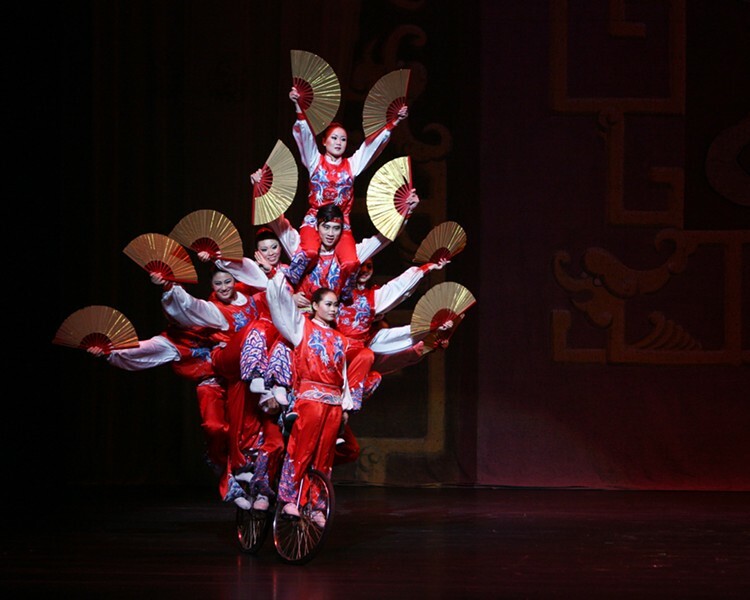 On Sunday, March 13. at 7 p.m., CenterArts presents the Chinese Golden Dragon Acrobats. Combining more than 25 centuries of acrobatic tradition with Cirque Du Soleil-ish flair, the troupe is expert at emptying eye sockets. Surely, at least one of the troupe's 21 members is bound to be perfect for your slapstick casino robbery. Of course, you might just want to sit back and be amazed. With more than 30 years of daring feats to their credit, the Golden Dragon Acrobats are world-renowned, having performed in all 50 U.S. states and in more than 60 countries on five continents. You may have to remind yourself to breathe periodically throughout the show. Stunts include balancing nearly 25 feet above the stage on precariously stacked chairs, forming intricate human pyramids while riding a bicycle, and performing gravity-defying, dizzying aerial twirls while clinging to a rope, just to name a few. This is why the phrase "don't try this at home" exists. Ditch your robbery scheme. Get your jaw lowered instead. Tickets are $35, $25 for seniors and kids or $15 for HSU students. For more info, check out www.goldendragonacrobats.com and/or humboldt.edu/centerarts.